This Microsoft historic military strategy game allows you to simulate historic battles based on eight exploring nations who conquered the New World. In this day and age, you need protection as you wander; so military units are an essential part of the game. You also get grades on developing your experience, resources, timeline, economy and awards. Each civilization has specific strengths and weaknesses plus a Home City that can send you supplies and soldiers. You can choose among Spanish, French, British, Portuguese, Russian, Ottoman, German and Dutch civilizations. Each civilization gets a bonus, unique units, royal guard units, and home city ruler. You will see familiar elements during game play like barracks, fort and church, but a few new units really enhance your options. For example, you can get a hot air balloon to expand your sight range and do some recon, which is very helpful in “fog of war” scenarios. Multiplayers can get online through Ensemble Studios Online or LAN networks. This mode includes supremacy games, which begin with no resources and require you to conquer or surrender, or, death match, which just increases the game speed. 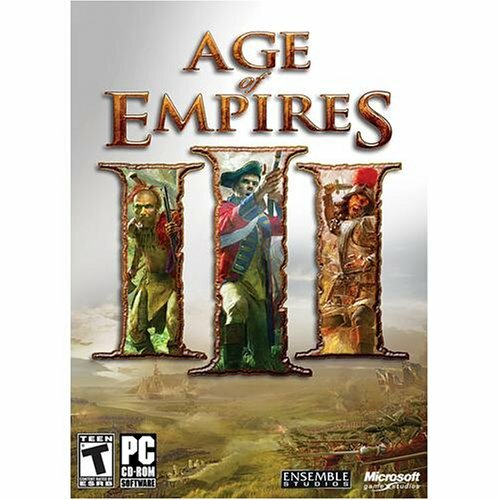 This entry was posted in Video Game Reviews and tagged Age of Empires, Michael Siebenaler, Mike Siebenaler, PC, Tall Writer, video games. Bookmark the permalink.